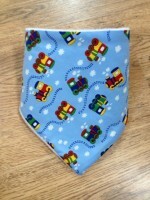 The dummy bib helps you keep their favourite dummy close to them and prevents the dummy from falling on the floor so ideal when out and about or playing at home. 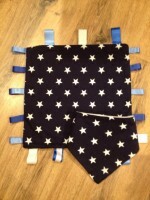 Their favourite dummy is attached with the Velcro at the end of the dummy and it has a generous Velcro fastening at the neck therefore it is suitable for approx 3 months to 3 years old. 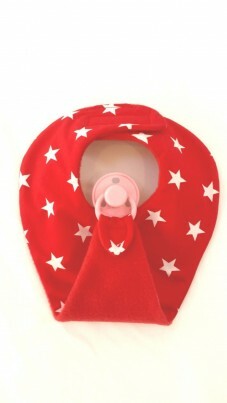 The dummy is for illustration only and not included. 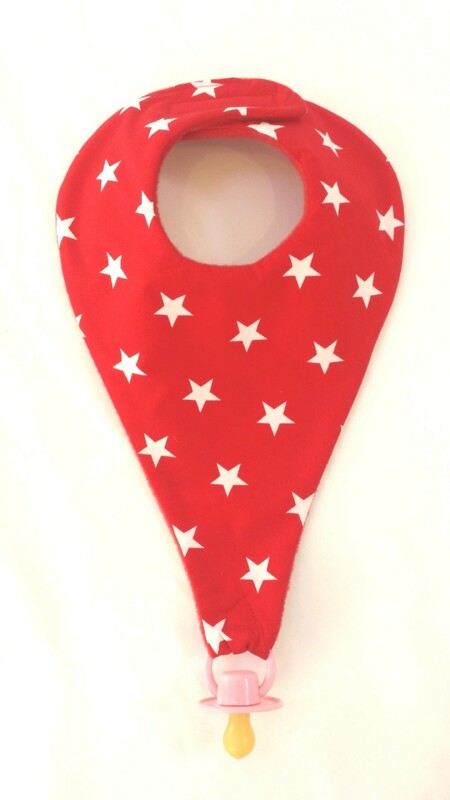 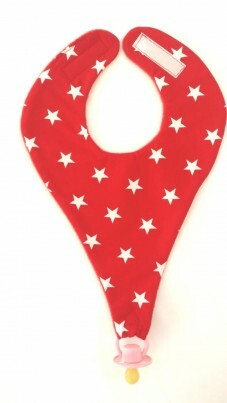 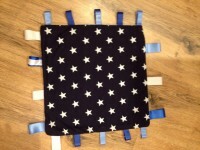 This dummy bib is in a trendy red star material with white stars material which is 100% cotton with a fleece backing which will help to absorb those dribbles and protect your baby's clothes.